Starting in underground corridors, Duke must make his way to the surface to escape. The construction is very well done, and for a series of passage ways and underground rooms, there's no feeling of being cramped or having your movement hindered. The lighting, shading and texturing are also well done and set a nice atmosphere. Duke starts out barely armed and takes a bit of a beating right away, but soon finds some health and collects a few weapons to even up the score. Upon reaching the surface Duke finds himself in a town that's nearly razed completely to the ground. The surface area is properly shaded ,there are some nice visual effects, the architecture is very good, and the detailing is well done. For a map of this huge size, the author's high standard is maintained from start to finish and is overall very solidly designed. 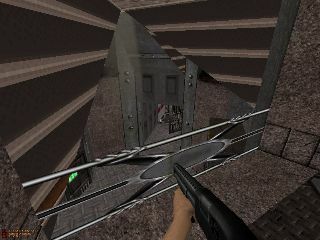 Non-linear movement through the streets is a slight shock after leaving the subterranean tunnels where the flow of the game is piped in one general direction. There's tons of ammunition, but health is short in supply; especially with the alien snipers scattered about Duke's bound to take a few hits which wears on him after awhile. The game itself is a series of puzzles; some of which can be pretty confusing or slightly difficult to figure out what just happened or what exactly Duke is supposed to do, but careful exploration, attention to detail, and a few monitor screens will help you on your way. Misc. Author Info     : Used to be known under the nickname 'Warlord'. This has been changed to 'Puritan'. 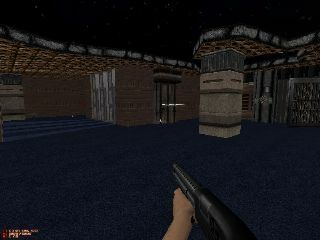 The predecessor to this level is: "Afterglow; A New World Rising". Two latest levels is: Undesirable Elements and Nostromo. to make it a bit easier to sort out where to go next. Additional Credits To : The music is from: AC/DC - Back in black. files in order to make them work under Duke Nukem. for making them available.Nice job,man! 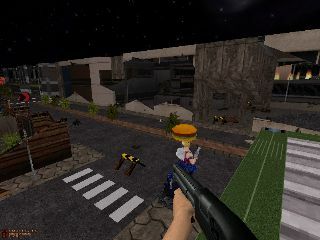 Duke Nukem and the Build engine created by Ken Silverman. Forge for some betatesting and his excellent reviews! TerminX for his work on the EDuke32 port. You attracts both old and new players for Duke! out there who is playing my levels.Thank you! Difficulty Settings    : Duke can't choose his opponents! Base                   : Built on ' Afterglow; A new world rising' . with bug fixing and improvements). Installation           :  Unzip the downloaded Scent.zip into your EDuke32 folder. It's important that Scent.zip stays compressed in your EDuke32 folder! It might slow down your PC if it isn't quite powerful. I suggest you turn down the video settings if you encounter slow-downs.